Jupiter from my backyard in Phoenix. 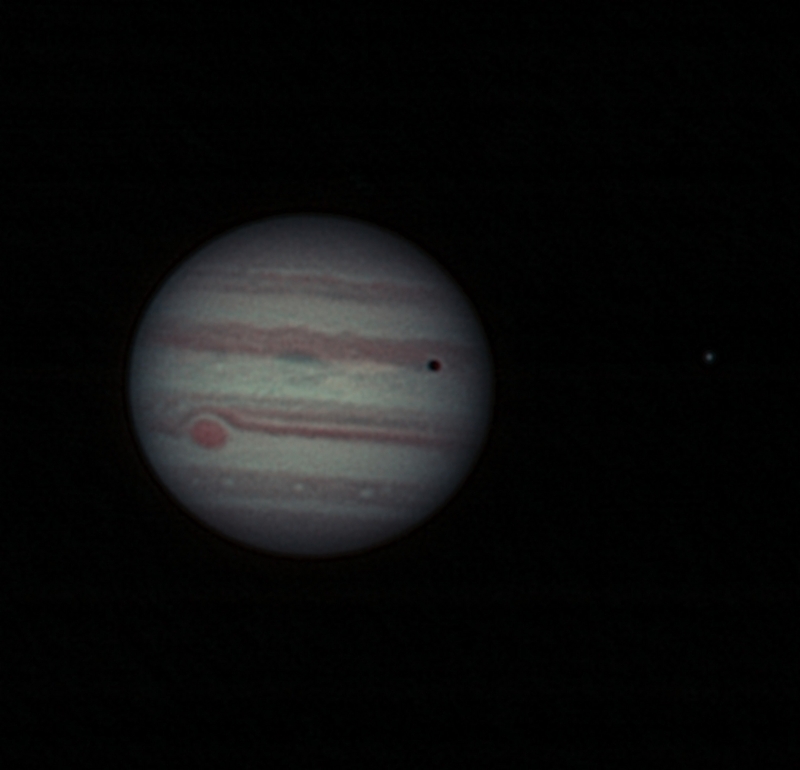 Io can be seen on the right casting its shadow on the gas giant. Taken with a 130mm apochromatic refractor and a ZWO asi120mm monochrome camera and RGB filters. That is a great foto!